Check out the very cool Japanese Tabi socks with soles that I spotted at the Covent Garden Market this week. 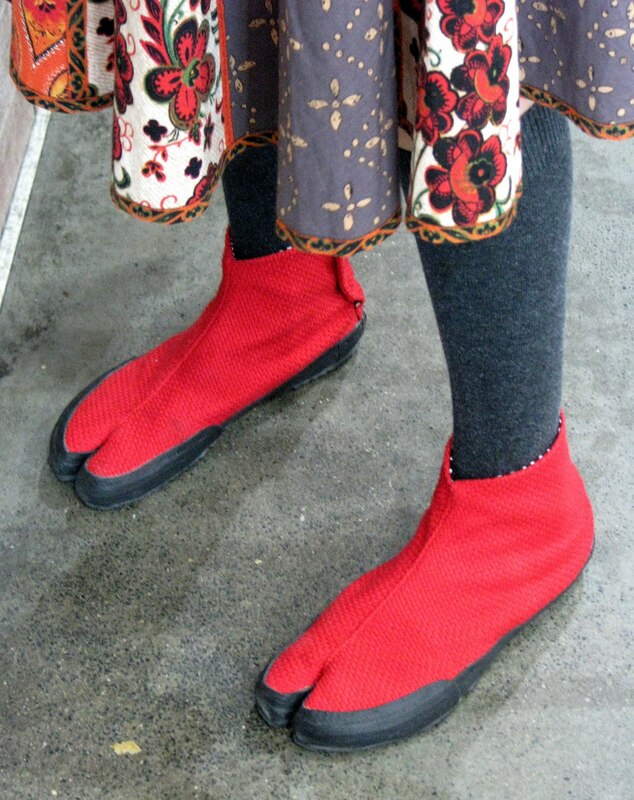 The wearer got them in Japan, and finds them very comfortable to wear. Looks like an alien's feet. Where can you purchase these shoes? I live in Vancouver, B.C. - Thanks in advance. Those shoes are from a Kyoto based brand. Sou Sou.